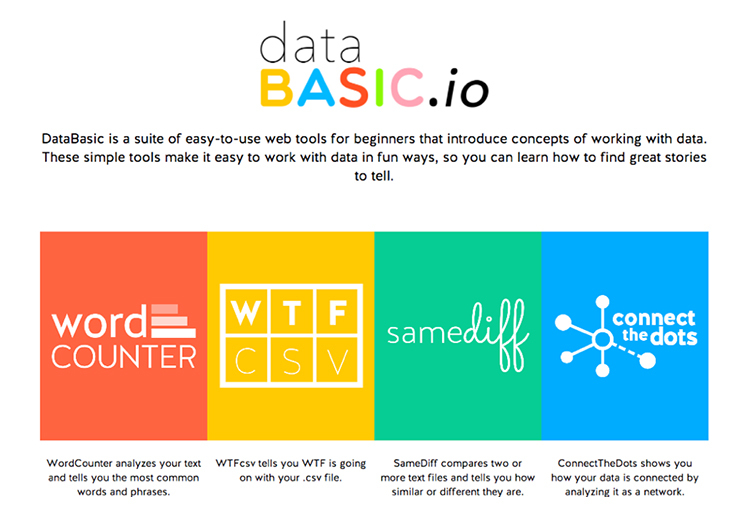 Figure 1: Databasic.io: A suite of four tools and activities that introduce data analysis and storytelling process. From Databasic.io home page https://databasic.io. Figure 2: WordCounter and SameDiff: Two tools for quantitative text analysis. From Databasic.io WordCounter andSameDiff https://databasic.io/en/wordcounter/ and https://databasic.io/en/samediff/. Figure 3: WTFcsv: A tool for learning how to explore spreadsheet data. Figure 4: Connect the Dots: A tool for learning about network analysis. From Databasic.io Connect the Dots https://databasic.io/en/connectthedots/. Figure 5: The output of a learner activity connecting students and their favorite restaurants. From Databasic.io Connect the Dots results page https://databasic.io/en/connectthedots/results/587cf9577088b49c0c4eb3a3. D’Ignazio, Catherine, and Rahul Bhargava. 2016. “DataBasic: Design Principles, Tools and Activities for Data Literacy Learners.” Journal of Community Informatics 12 (3): 83–107. www.ci-journal.net/index.php/ciej/article/view/1294. The Economist. 2001. “Broadband Blues.” June 21, 2001. http://www.economist.com/node/666610. Freire, Paulo. 2018. Pedagogy of the Oppressed 50th Anniversary Edition. New York: Bloomsbury Academic. Torphy, Patrick, Michaela Halnon, and Jillian Meehan. 2016. “Reporting Sexual Assault: What The Clery Act Doesn’t Tell Us.” https://cleryactfallsshort.atavist.com/reporting-sexual-assault-what-the-clery-act-doesnt-tell-us.